As a friend and I drove across the state on Saturday, coming home from a day trip to a festival on the other side of Ohio, we stopped for a quick bite to eat at a nearby fast food place. I ordered both our combo meals in the medium size. The cups that landed on our trays, though, were almost mind-bogglingly large. I was set with iced tea for the entire drive home. When did that become a medium drink? This phenomenon can also be witnessed at any cinema; ‘small’ has become a normal drink, ‘medium’ is generally larger than a one-handed sipper, and ‘large’, well, that’s just a bucket of beverage. These days, bigger is better in the commercial world, and companies (and fast food/cinemas) are making sure we all get our money’s worth with the latest and greatest set up in sizes to impress. As it turns out, and as we’re seeing larger-scale happenings in the 3D printing arena worldwide, it’s not just my native US that has this fixation on the large scale. Announced today, the US now has access to a new larger volume of 3D printing from Europe, as the Builder Extreme is now available in this country. Chicago-based Dynamism Inc. will act as the distributor in this new deal for Netherlands-based Builder 3D Printers, expanding on the access Dynamism has already provided US customers to 3D printers from Builder. Builder Extreme 3D printers, introduced to the market last spring, are available in two sizes as the Builder Extreme 1000 (with a maximum build size of 700 x 700 x 900 mm) and the Builder Extreme 2000 (with a maximum build size of 700 x 700 x 1820 mm). Fit for large-scale prototyping as well as some distinctly large artworks, as well as any industry in between, the Builder Extreme 3D printers offer a build envelope fit for any sized project. Builder Extreme 3D printers are equipped with on-board cameras and a dual-feed system. The resulting scale skyscraper is a 1:213 scale replica of the building, standing 1.8 meters tall and weighing in at 15 kilograms (or, for those of us using the imperial system, that’s a 5’10” and 33 lb 3D printed skyscraper). “The Builder Extreme is unlike any other 3D printer and has generated tremendous interest amongst manufacturers, designers and even artists. 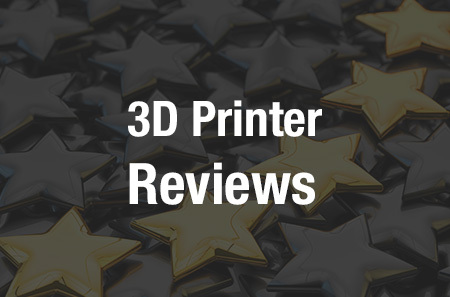 Dynamism is the right partner to bring the Builder Extreme 3D printer to these US based enterprises and professional clients with expertise and market-leading service,” explains Builder 3D Printers’ Sales Manager Niels Hunck. The Builder Extreme 3D printers are available now from Dynamism; the Extreme 1000 is set at a cost of $21,999, while the Extreme 2000 runs $25,999. Purchases of either model are also covered under a 90-day manufacturer’s warranty for the extruder, and one-year warranty for all other parts. Other Builder 3D printers available from Dynamism include the Big Builder Dual-Feed and the Builder Premium. Dynamism is also a reseller of 3D printers from Ultimaker, Formlabs, LulzBot, ZMorph, Type A, Zortrax, Up, 3D Systems, Robox, and Printrbot. The company signed its reseller agreement with ZMorph just a few months ago, to help that company expand its reach to the US. The company further offers 3D management via 3DPrinterOS; a wide range of filament to serve all the printers they sell; and 3D scanners from Fuel3D (SCANIFY), 3D Systems (Sense 2), Shining 3D (EinScan Pro), and Matter and Form.